It's October!!! Now is the perfect time to start thinking about some fun Halloween ideas, so you won't be thinking about those costumes, crafts, center ideas and treats at the last minute! Today, I'm excited to share with you all a super easy little Halloween goody for your kiddos! 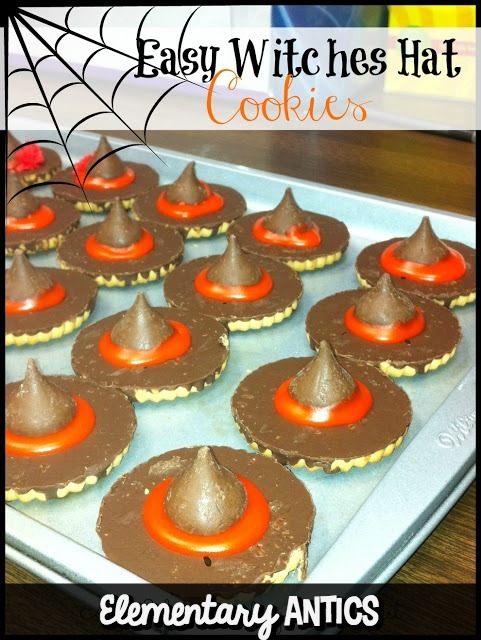 I liked to make these for my class and bring them in on Halloween most years for a little treat for them at lunch. They loved it when I brought in special goodies that I made myself! (And I got to use it as a way to keep them behaving all morning by promising them a special treat at lunch!) These are fun and literally the easiest thing to make. All you do is glue the Hershey kiss to the back of the fudge cookie with the icing. Then, you pipe a little icing around the base of the Hershey kiss. That's it! Easy peasy, lemon squeezy (as my students would say)! This is also something that you could have your students make themselves and have them write a quick procedural writing paper about how to make witch hat cookies. 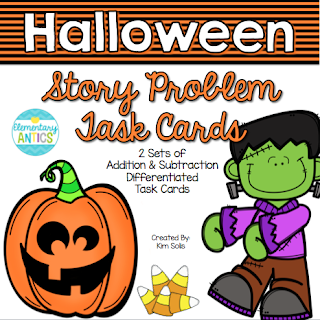 If you're looking for some fun Halloween resources to keep your kids engaged in math centers try these Halloween Word Problem Task Cards! 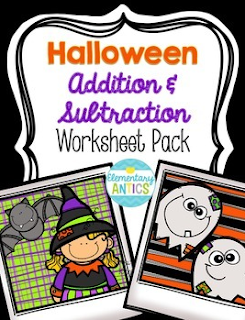 There are 12 spooky Halloween stories using addition and subtraction (and multi-step). There are 2 sets- they have identical stories, but different numbers so you can differentiate for your kiddos! I also have these super fun Array Task Cards with Halloween emojis (because- emojis!!!). These 24 arrays include repeated addition and multiplication. Also, be sure to snag this FREE simple Halloween basic facts sheet with a few story problems too!